CLEVELAND (AP) — The man who famously put down his Big Mac to help rescue three women held captive for years in a Cleveland house will get free McDonald's for the next year, a company spokeswoman confirmed Thursday. Local franchisees in Charles Ramsey's neighborhood have offered him free food at their restaurants, said Heidi Barker, a spokeswoman for Oak Brook, Ill.-based McDonald's Corp.
Ramsey was called a hero after helping Amanda Berry, Gina DeJesus and Michelle Knight break out of the house May 6. Homeowner Ariel Castro faces charges. His defense team has said he will plead not guilty. Ramsey had noted in an interview with a local TV station that he was eating McDonald's when the scene unfolded. He also spoke of it in a 911 call. Both the interview and the call quickly became popular online, and McDonald's caught wind of Ramsey's mentions. The world's biggest hamburger company had said a day after the rescue on Twitter: "We salute the courage of Ohio kidnap victims & respect their privacy. 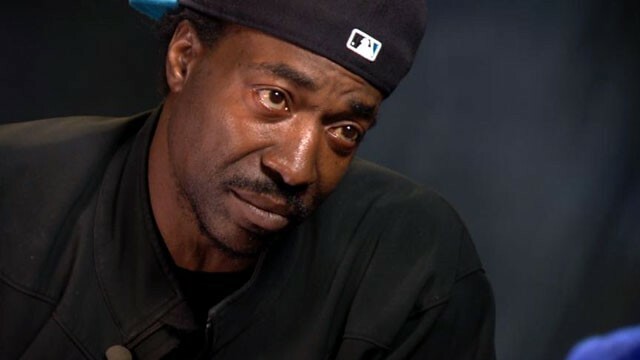 Way to go Charles Ramsey — we'll be in touch." Barker said local McDonald's owner-operators later connected with Ramsey. "Out of respect for the survivors of this harrowing ordeal and the ongoing investigation, we have not shared publicly details of our outreach," Barker said in an email. McDonald's also has made a $10,000 donation to the National Center for Missing and Exploited Children in the names of the three women and Ramsey, Barker said. Ramsey has also been promised free burgers for life at more than a dozen Cleveland-area restaurants. The restaurant where Ramsey worked as a dishwasher initially created a special burger in his honor, but eateries in the city decided a larger tribute was due, The (Cleveland) Plain Dealer reported. The newspaper said Ramsey was traveling and would get his reward when he returns.